Held in Victoria, British Columbia, Canada this conference is a must attend for those working in the privacy and security fields. Presented by the Office of the CIO, Government of British Columbia, this two-day conference, is recognized as one of the top tier events in North America. 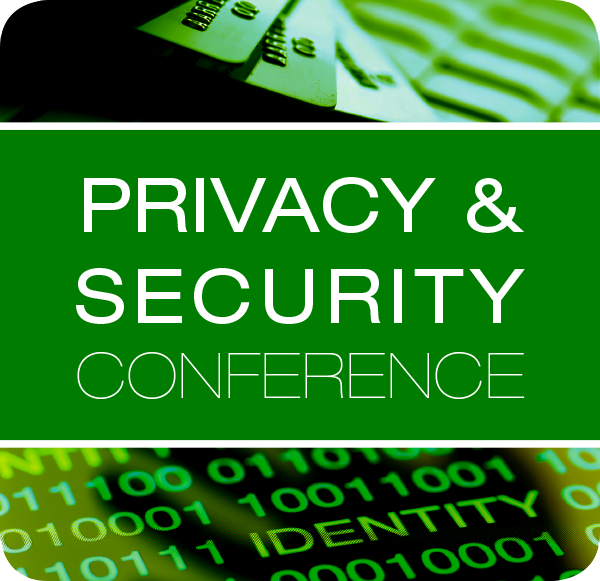 Anyone working in the information privacy and security fields will benefit from the speakers, discussions and networking at the conference. Attendees are from every level both within government and private industry. The conference draws an international audience of some 1,000 delegates with an interest in cutting edge policy, programs, law, research and technologies aimed at the protection of privacy and security. On-line registration is open, make sure you register early before spaces sell out! As an avid computer security researcher for 15+ years, Emrah is passionate about what he does, and it shows through his presentations. He is regarded as a Subject Matter Expert in SIEM and IPS technologies. Employing quite an engaging stage presence, Emrah is known for his ability to connect with audiences of all technical levels. He enjoys persistent malware analysis utilizing advanced obfuscation techniques, as much as beat matching for electronic music aficionados when the opportunity presents itself. Director of Analytics, Privacy Analytics Inc.
Luk Arbuckle, Director of Analytics at Privacy Analytics Inc, leads a team that conducts risk analyses on the re-identification of patients in data, and conducts research on de-identification practices and re-identification risk measurement. He is co-author with of the O’Reilly book Anonymizing Health Data: Case Studies and Methods to Get You Started. The book covers several de-identification projects he’s worked on, such as the $3 million Heritage Health Prize, and the Cajun Code Fest hackathon. He has worked closely with Khaled El Emam, Canada Research Chair in Electronic Health Information and Founder and CEO of Privacy Analytics Inc. Luk spent three years studying systems engineering before transferring into a major in mathematics, which then led to a master’s in mathematics to study the underpinnings of signal/image wavelet processing. His skills were then put to use in the field of remote sensing digital image analysis as a member of the research department at MDA Corporation. To further develop his data analysis skills, he completed a master’s degree in statistics working on predictive models for the Ottawa Hospital Research Institute. He’s been awarded an NSERC Post Graduate Scholarship, a Canada Graduate Scholarship, as well as other scholarships, bursaries, and awards. Ian has 28 years of experience in Information Technology and Information Management. After graduating from the University of Victoria with a degree in Computer Science, Ian spent 10 years developing software in the Oil & Gas industry, designing submarine detection systems and ultrasonic inspection technology for the Department of National Defence, and health care solutions for the Province of British Columbia. In 1991, Ian joined the BC government and has helped Shared Services BC and the Office of the CIO in developing shared services and corporate solutions. Ian is a thought leader in the development of the Pan-Canadian Identity Management Strategy and the BC Services Card solution for the Province. After creating a drama program for at-risk youth, she won the Lieutenant Governor’s Community Volunteer Award in 2008. At the time of her election in 2011, she was a student studying political science and Latin American studies at McGill University and was also working as the Labour Relations Officer for the Association of McGill University Support Employees. She was also co-president of the student New Democratic Party club at McGill University. In Parliament, Borg was named to the Standing Committee on Justice and Human Rights, where she intervened against the Conservative government’s omnibus crime bill, C-10, and the closure imposed on its debate, as well as Bill C-30, the Conservative bill on warrantless online surveillance. In the Fall of 2012, Borg embarked on a tour across Eastern Canada and the Maritimes to increase pressure on the Conservative government to abandon the bill. After months of public backlash, the Conservative government finally scrapped Bill C-30 in February 2013. Borg called the death of this bill a “great victory and a way forward for politics.” In April 2012, newly elected NDP leader Thomas Mulcair appointed Borg to the Shadow Cabinet of the Official Opposition. She was given the position of Digital Issues Critic, and became the youngest full critic in the history of Canada. Simultaneously, she was transferred from the Standing Committee on Justice and Human Rights to the Standing Committee on Ethics, Privacy and Access to Information. In one of her first acts as Digital Issues Critic, Borg launched at study at the Ethics, Privacy and Access to Information Committee to investigate the privacy practices of social media companies. During the study’s hearings, MPs heard from numerous experts and industry representatives including Facebook, Twitter and Google. Borg presented Bill C-475 to the House of Commons in February 2013. The bill seeks to amend the Personal Information Protection and Electronic Documents Act (PIPEDA) to introduce mandatory data breach reporting and enforcement powers to the Privacy Commissioner. Bill C-475 has received the endorsements of several privacy and internet experts, along with consumer protection and civil liberties groups. A campaign called “myprivacy” was launched to support the progression of Bill C-475 through the House of Commons. The bill saw its first hour of debate at First Reading on May 23, 2013, the same day that the Privacy Commissioner of Canada released a position paper calling for similar reforms to PIPEDA. Theresa established Safer Schools Together (SST) in 2008, to provide opportunities for extensive professional development in the areas of safe and caring schools and violence prevention. In addition to hosting training symposiums, SST has authored the Safe & Caring School Tool to measure the climate and culture of a school, to ensure best practices are followed and the Ministry of Education mandates regarding school/student safety are met. SST was awarded the contract for the British Columbia Provincially mandated ERASE Bullying Prevention Training Strategy for which, Theresa is the lead trainer. Previously, Manager of Safe Schools for the Surrey School District for the past 12 years, she has been responsible for the conceptualization, development and implementation of many highly successful, evidence-based prevention and intervention programs, resource materials aimed at enhancing student and staff safety. Many of these unique and innovative projects have also been recognized and implemented worldwide. Prior to Surrey, Theresa spent 10 years with the Vancouver School District where she worked extensively with entrenched, at-risk and gang-associated youth. Theresa is a certified trainer and consultant with the Canadian Centre for Threat Assessment & Trauma Response and is the Executive Director for the International Centre for Threat Assessment. Dr. Ann Cavoukian is recognized as one of the leading privacy experts in the world. Noted for her seminal work on Privacy Enhancing Technologies (PETs) in 1995, her concept of Privacy by Design seeks to proactively embed privacy into the design specifications of information technology and accountable business practices, thereby achieving the strongest protection possible. In October, 2010, regulators from around the world gathered at the annual assembly of International Data Protection and Privacy Commissioners in Jerusalem, Israel, and unanimously passed a landmark Resolution recognizing Privacy by Design as an essential component of fundamental privacy protection. This was followed by the U.S. Federal Trade Commission’s inclusion of Privacy by Design as one of its three recommended practices for protecting online privacy – a major validation of its significance. An avowed believer in the role that technology can play in the protection of privacy, Dr. Cavoukian’s leadership has seen her office develop a number of tools and procedures to ensure that privacy is strongly protected, not only in Canada, but around the world. She has been involved in numerous international committees focused on privacy, security, technology and business, and endeavours to focus on strengthening consumer confidence and trust in emerging technology applications. Dr. Cavoukian serves as the Chair of the Identity, Privacy and Security Institute at the University of Toronto, Canada. She is also a member of several Boards including, the European Biometrics Forum, Future of Privacy Forum, RIM Council, and has been conferred a Distinguished Fellow of the Ponemon Institute. Dr. Cavoukian was honoured with the prestigious Kristian Beckman Award in 2011 for her pioneering work on Privacy by Design and privacy protection in modern international environments. In the same year, Dr. Cavoukian was also named by Intelligent Utility Magazine as one of the Top 11 Movers and Shakers for the Global Smart Grid industry, received the SC Canada Privacy Professional of the Year Award and was honoured by the University of Alberta Information Access and Protection of Privacy Program for her positive contribution to the field of privacy. Most recently in November 2011, Dr. Cavoukian was ranked by Women of Influence Inc. as one of the top 25 Women of Influence recognizing her contribution to the Canadian and global economy. This award follows her recognition in 2007 by the Women’s Executive Network as one of the Top 100 Most Powerful Women in Canada. Jeff Debrosse is director of security research for Websense, Inc. Debrosse manages a team of talented security researchers to accurately identify and thwart advanced cyberthreats. He is also responsible for leading collaboration among the global research teams of the Websense Security Labs. Debrosse brings more than 20 years’ security experience to Websense. Prior to joining Websense, he acted as technical product manager for Ntrepid Corporation where he contributed to the design and development of Internet operations solutions for the intelligence community. Previously Debrosse held the leadership roles of senior security evangelist and senior director of research at ESET. During his tenure, he led a team of researchers tasked with cyberthreat analysis and building effective security solutions. Asif is a principal and chief medical informatics officer with Deloitte Consulting. As chief medical informatics officer, he worked to help health institutions warehouse and mine their data, as well as help clients use real world data and evidence to transform their organizations. The Deloitte solutions that he has helped to develop enable clients to develop innovative strategies to improve clinical outcomes and therapeutic discovery. Asif is also responsible for ConvergeHEALTH’s product strategy and roadmap. He has a keen acumen for understanding healthcare trends and assists clients across the healthcare value chain to develop growth and innovation strategies. His insights on health reform, information management and new care models are sought after by healthcare organizations across the globe. He holds a Medical Degree from the University of Illinois, a Master’s in Business Administration degree from the University Of Chicago Booth School Of Business, and a Bachelor of Arts degree from the University of Chicago. A leader in the “open” movement, David Eaves invigorates audiences with talks on the new transparency. How are corporations and government agencies becoming more efficient—and more accountable? What does it mean for consumers, constituents and employees who demand nothing less? Eaves shows how you can—and should—adopt open sensibilities, crunch data in new ways, and embrace social media like never before. Highlights “If it isn’t available in open and machine readable format, it can’t engage. If a legal framework doesn’t allow it to be repurposed, it doesn’t empower.” David Eaves knows how to open things up. He’s an expert in public policy, strategy, open government, open source, negotiation and collaboration, and recognized public thinker all wrapped up in one. As one of North America’s most exciting public policy entrepreneurs he is retained by governments to advise on these burgeoning fields. Eaves’ expertise in the realm of technology and transparency makes him an ideal speaker for governments interested in open data and social media, but also any company or group confronting disruptive innovation, engaging in social marketing, social media, mobile marketing, and crowdsourcing. As a negotiation expert, David Eaves advises on critical negotiations, such as the Canadian Boreal Forest Agreement, and helps create opportunities where there are currently log jams. As a public thinker he is a prolific writer, contributing to The Globe and Mail, The Toronto Star and has published chapters in books like O’Reilly Media’s Open Government and EMP’s textbook The New Journalist, all while posting regularly to his own influential blog. It doesn’t end there. For example, Eaves recently gave a talk to the Canadian Real Estate Association on disruption, strategies for openness and the future of the real estate industry. A sought after speaker, he is frequently invited by everyone from executives to students to speak on issues relating to policy making, strategy and negotiation. In addition to his writing and advocacy, Eaves sits on the executive of Vision Vancouver (a municipal political party) and the advisory board of CivicCommons. He recently served as a sponsor and adviser of the Apps 4 Climate Action competition and sat on the Steering Committee of the Environics Institute’s Urban Aboriginal People’s Survey. A graduate of Queen’s and Oxford University, David lives in Vancouver, BC. Darrell Evans’ career has been devoted primarily to the use of communications skills to solve problems, remove obstacles and improve human and business conditions, with the understanding that positive change can only be accomplished by reaching the hearts and minds of people. After spending 15 years working as a graphic designer, copywriter, creative director and communications consultant, Darrell opted to work exclusively on environmental, civil liberties and ’information rights’ issues. Darrell is a fervent acolyte of the democratic ideal, and so has dedicated the last 20 years of his professional life to creating and sustaining an organization that empowers citizens by increasing their access to vital information and their control over their own personal information. In 1990, Darrell initiated a movement to get a freedom of information and protection of privacy act passed in British Columbia and began selling the idea and organizing the movement across BC. This campaign, fuelled by the work of many other outstanding volunteers, led to the creation and incorporation of the non-profit BC Freedom of Information and Privacy Association (FIPA) in January 1991. Evans was FIPA’s first President and then assumed the position of Executive Director, a position he occupied until December 2010. FIPA’s primary objective – the enactment of BC’s Freedom of Information and Protection of Privacy Act (“FOIPP act”) – was accomplished in 1992, a remarkably short time for such an achievement. While working as FIPA’s Executive Director in 1993, Darrell was asked to advise and work with a similar group of FOI enthusiasts in Alberta on a volunteer basis. The resulting movement led to the passage in 1994 of an Alberta FOIPP act closely modelled on the BC act. FIPA went on to play a major role in the development and reform of other legislation, notably the federal Personal Information Protection and Electronic Documents Act (PIPEDA) and BC’s Personal Information Protection Act (PIPA). The group is also well known for its work of public legal education and assistance, legal advocacy, and legal and policy research. All these programs contribute to its objective of ongoing law reform. Chief Marketing Officer, Cylance Inc.
Mr. Fitzgerald serves as Cylance Chief Marketing Officer. His leadership drives the company strategic positioning, brand, field engagement, and product go-to-market. He comes from Fortinet, where he served as the Senior Vice President, Worldwide Corporate Marketing and helped drive their position in four Gartner Magic Quadrant leadership positions and continued position as UTM market pioneer. Prior to joining Fortinet, Mr. Fitzgerald was SVP Marketing for Sourcefire, Intrusion Prevention System leader; CEO of DisplayPoints, a privately held web 2.0 media company, from inception to its profitable sale in September 2009; Global Vice President of Marketing, Product Management, Channels and Inside Sales at TippingPoint, a division of 3Com and leading provider of Intrusion Prevention Security Systems. Prior to this, Mr. Fitzgerald was an executive for growth-stage ventures, and high growth public organizations. He has also been an instructor of marketing and sales at ACTON MBA, Austin Texas. Mr. Fitzgerald holds a BBA in Marketing and Finance from Emory University, an MBA in Product Marketing from the University of Colorado, and a MIM in International Marketing Strategy from Thunderbird, The American Graduate School of International Management. J. William Galbraith is the former Executive Director of the Office of the Communications Security Establishment Commissioner, appointed in February 2010. He joined the Commissioner’s office as Director of Operations in spring 2003. Bill began his career in the private sector with The Conference Board of Canada, 1982 – 1988. He subsequently joined the federal public service, with Investment Canada. From 1990 to 2001, he served in different capacities with the Canadian Security Intelligence Service, and in spring 2001 moved to the Department of the Solicitor General. Bill holds an Honours Bachelor of Arts from Carleton University and a two-year multidisciplinary graduate degree, grande distinction, from the Université Libre de Bruxelles in Brussels, Belgium. He is also the author of the biography John Buchan: Model Governor General, and received the Queen’s Golden and Diamond Jubilee medals for his volunteer activities. Carlos is the Director of Security Architecture and Security Compliance at TELUS Communications Inc. He has 15 years of extensive experience in information security in the IT industry, starting out as a Unix systems administrator in 2000 and working in a number of different IT and IT management roles at TELUS over the last decade. Carlos is a strong believer in the integration of security architecture principles and standards into every aspect of the corporate business processes and lifecycle. Security governance and partnership is a key contributor to the ongoing protection of both corporate information and data services. Outside of work, Carlos lives in Vancouver with his wife and son, loves fishing, hiking, and traveling. Privacy Advisor and Investigator, Privacy and Legislation Branch, Ministry of Technology, Innovation and Citizens' Services, Province of B.C. Christopher Gillespie has worked as a Privacy and Policy Advisor in the Privacy and Legislation Branch since May 2012. In that time he has developed over 150 privacy impact assessments, as well as been responsible for delivering privacy training and leading investigations into actual or suspected privacy breaches. Chris holds a degree in Political Science from the University of Victoria and is currently working on his Masters in Public Administration through the Royal Military College. Jeff Greene serves as a Senior Policy Counsel at Symantec, where he focuses on issues including cybersecurity, identity management, and privacy. In this role, he monitors executive and legislative branch activity, and works extensively with industry and government organizations. Prior to joining Symantec, he was Senior Counsel with the U.S. Senate Homeland Security and Governmental Affairs Committee, where he focused on cybersecurity, Homeland Defense, and counter terrorism issues. Jeff has also worked in the House of Representatives, where he was Staff Director of the Management, Investigations and Oversight Subcommittee on the House Committee on Homeland Security. His first job on the Hill was as counsel to the Senate’s 2005-06 Special Investigation into Hurricane Katrina. Before that he was an attorney with a Washington, D.C. law firm, where his practice focused on government contracts and contract fraud, as well as general civil and criminal investigations. Jeff currently serves as co-chair of the Homeland Security Committee of the American Bar Association’s Section of Science & Technology Law and co-chair of the Supply Chain Working Group on the Information Technology Sector Coordinating Council. He speaks often on cybersecurity, data breach, and privacy issues. He has a B.A. in International Relations from Boston University and a J.D. with Honor from the University of Maryland, where he has taught classes in Homeland Security law and policy. Kevin D. Haggerty is editor of the Canadian Journal of Sociology and book review editor of the international journal Surveillance & Society. He is Professor of sociology and criminology and a member of the executive team for the New Transparency Major Collaborative Research Initiative. His recent work has been in the are of surveillance, governance, policing and risk. In addition to authoring numerous peer reviewed articles he has authored, co-authored or co-edited Policing the Risk Society (1997 Oxford University Press) Making Crime Count (2001 University of Toronto Press) and The New Politics of Surveillance and Visibility (2004 University of Toronto Press) Surveillance & Democracy (2008 Routledge) Security Games: Surveillance and Security at Mega-Events (2010 Routledge) and the Routledge Handbook of Surveillance Studies (2012 with Kirstie Ball and David Lyon). He and his co-author (Aaron Doyle) are currently writing the book 67 Ways to Screw Up in Graduate School which conveys a series of professional lessons for the next generation of graduate students. Woodrow Hartzog is an Associate Professor at Samford University’s Cumberland School of Law. He is also an Affiliate Scholar at the Center for Internet and Society at Stanford Law School and a contributor at Forbes. His research on privacy, contracts, media, and robotics has appeared or is scheduled to appear in numerous law reviews and peer-reviewed publications such as the Columbia Law Review, California Law Review, and Michigan Law Reviewand popular publications such as The Guardian, Wired, The Atlantic, and CNN. His book Privacy’s Blueprint: The Battle to Control the Design of New Technologies is forthcoming from Harvard University Press. Mike Huckaby, CISSP is the Senior Director of Americas Technical Consulting at RSA, the Security Division of EMC. Mike is a 11 year veteran of RSA and has 16 years of experience helping organizations worldwide understand their security posture, their risk to current threats and providing enterprise security solutions to enhance their security environments. Deborah Hurley is the Principal of the consulting firm she founded in 1996, which advises governments, international organizations, non-governmental organizations, and foundations on advanced science and technology policy. She is a Fellow of the Institute for Quantitative Social Science at Harvard University. At the Organization for Economic Cooperation and Development, in Paris, France, she identified emerging legal, economic, social and technological issues related to information and communications technologies, biotechnology, environmental and energy technologies, nanotechnology, technology policy, and other advanced technology fields. She was responsible for drafting, negotiation and adoption of the OECD Guidelines for the Security of Information Systems. She directed the Harvard University Information Infrastructure Project. Hurley is Chair, Board of Directors, Electronic Privacy Information Center, and has served on many other governmental and non-governmental boards and committees, including for the U.S. State Department, the American Association for the Advancement of Science, and the National Academy of Sciences Research Council. She carried out a Fulbright study of intellectual property protection and technology transfer in Korea. She is the author of Pole Star: Human Rights in the Information Society, “Information Policy and Governance” in Governance in a Globalizing World, and other publications. Hurley received the Namur Award of the International Federation of Information Processing in recognition of outstanding contributions, with international impact, to awareness of social implications of information technology. Tamir is a staff lawyer with the Samuelson-Glushko Canadian Internet Policy & Public Interest Clinic (CIPPIC), where his research and advocacy focuses on advancing the public interest in various Internet governance law and policy matters. Tamir has participated in several key judicial, regulatory and parliamentary proceedings on various Internet policy matters, including interventions in the Supreme Court of Canada, multiple proceedings before the Canadian Radio-television and Telecommunications Commission and the Office of the Privacy Commissioner of Canada, and expert testimony to various parliamentary committees. In addition, he has been a contributor in a number of international policy-making fora, including the OECD’s Committee on Information, Communications and Computer Policy (ICCP), the W3C’s Tracking Protection Working Group and ICANN’s Non-Commercial Stakeholder Group (NCSG). Tamir is also a member of the Advisory Board of Privacy International and lectures on Internet regulation matters at the University of Ottawa Faculty of Graduate & Post-doctoral Studies. Director, Personal Protection Systems Inc.
Darren is a highly respected and serving Staff Sergeant with over 28 years of policing experience, who has dedicated his life to public safety, and is both a provincial and nationally decorated Canadian law enforcement professional. Darren is a Certified Advanced Open Source Intelligence/ Social Media Investigator, and has a strong interest/background in on-line and social media investigations. As a Social Media safety advocate, Darren has presented his multi-award winning Social Media safety presentation to over 237,000 students in both Canada and the United States. Darren is also an internationally court recognized workplace violence prevention and self protection expert, published award winning author and highly sought after public/keynote speaker. Given his unique educational and professional background, Darren brings a heart felt passion, and 28 years of “real world” police investigative experience and perspective when sharing his message of personal safety, both on-line and off-line, that is hard to match. Ann Makosinski is a grade eleven student living in Victoria, British Columbia. She has always had an interest in science, and her first toy was actually a box of transistors. Ann started participating in her local science fair in grade 6, but this year she was honored to represent Canada at the Google Science Fair 2013, where she won top prize in her age group. Her invention is a flashlight that runs solely off the heat of the human hand. Her other interests include playing the piano, violin, dabbling with film and photography, and reading. Matthew McCormack is Chief Technical Officer (CTO) of RSA Global Public Sector at RSA, the Security Division of EMC. In his role as CTO, McCormack is spearheading technical strategy and partner relationships with the United States federal government, state and local governments, critical infrastructure organizations, and international public sector organizations. McCormack joined RSA after a career of more than 17 years in the Federal Government and the United States Navy. During his service, he held significant leadership positions within the Internal Revenue Service and Intelligence Community, focused on cybersecurity. McCormack’s last position in the government was the Chief Information Security Officer for the Defense Intelligence Agency responsible for the overall protection of all classified data within the agency as well as the building, testing and deployment of unique cyber initiatives to mitigate special threats experienced by the Intelligence Community. Prior to this role, McCormack also served as the Director, Cybersecurity Operations at the Internal Revenue Service (IRS), where he was responsible for all 24×7 and field security operations at the agency. He also served as the Director, Security Engineering and the Chief Security Architect for the IRS. McCormack was also a Cryptologic Officer in the Unites States Navy and is a veteran of both Iraq and Afghanistan. Mr. McCormack is a native of Caribou, Maine and now resides in Annapolis MD with his wife and three children. He has an MBA from the University of West Florida and an M.S. and B.S. in Industrial Engineering from Rensselaer Polytechnic Institute (RPI). He currently maintains a Certified Information System Security Professional (CISSP), Certified Secure Software Lifecycle Professional (CSSLP), ITIL V3.0 and CMMI certifications. Michael McEvoy is Deputy Commissioner for the Office of the Information and Privacy Commissioner of British Columbia (OIPC). Prior to this appointment, he served as Assistant Commissioner and as Senior Adjudicator. Before joining the Office he acted as legal counsel to the Labour Relations Board, practiced law in the private sector and was also an advisor to the Attorney General of British Columbia. Mr. McEvoy’s community service has included Chair of the Greater Victoria Board, serving as President of the BC Trustees Association and the Canadian School Boards Association. He is a past Campaign Chair of the United Way of Greater Victoria. He is married with two daughters, is a road bike enthusiast and continues to have dreams of glory as a hockey player with the Victoria Grey Leafs old-timers. In addition, David has an MA in Conflict, Security and Development from King’s College London and a BA in History and Politics from the University of Sussex, both from his native UK. Erinne Paisley is currently a grade 11 student at Reynolds Secondary in Victoria B.C., where she is involved in Leadership, Vital Youth, Principal’s Advisory, Open for Change, Reynolds Eco-action, Outdoors Club, and the school’s Peer Mentor program. Erinne is also the founder of actionNow, a student-led group whose mandate is to focus on creating positive change in the local and global community. Erinne has been selected as one of ten Global Citizen Scholarship recipients from across Canada where she will attend a We Day event in London and a science and innovation summit in Berlin in March 2014. Erinne’s plans for the future include a Gap year to travel and volunteer, before a post-secondary pursuit in international and foreign affairs. Steven Penney is a Professor at the Faculty of Law, University of Alberta. He received a Bachelor of Arts and a Bachelor of Laws from the University of Alberta and a Master of Laws from Harvard Law School. He researches and teaches in the areas of criminal procedure, evidence, substantive criminal law, privacy, and law and technology. He is co-author of Criminal Procedure in Canada (Markham, Ont. : Lexis Nexis, 2011) and co-editor of Evidence: A Canadian Casebook, 3d ed. (Toronto: Emond Montgomery, 2012). He has written several book chapters and his articles have appeared in numerous publications, including the American Journal of Criminal Law, Journal of Criminal Law and Criminology, International Journal of Law & Psychiatry, McGill Law Journal, Osgoode Hall Law Journal, Queen’s Law Journal, Supreme Court Law Review, Alberta Law Review, Canadian Criminal Law Review, and Criminal Law Quarterly. Before his appointment at the University of Alberta, he taught at the Faculty of Law, University of New Brunswick. He has been a Visiting Professor at the Faculty of Law, University of Western Ontario and clerked for Mr. Justice Gérard V. La Forest of the Supreme Court of Canada. Information shapes the global economy. It is not just ubiquitous but essential. It drives progress, it powers interpersonal trust and it is the very fabric upon which abstract notions are anchored. Things like trust, identity, value. For over 20 years, Claudiu Popa has been professionally and personally involved in the rapidly evolving field of information management, witnessing trends in IT and enterprise risk. Claudiu Popa is a dynamic presenter who brings attitude, passion and character to engaging events. In his professional life he helps the world’s best companies protect their most valuable assets. His unique background and influence in the industry make him a trusted risk advisor to leaders and a respected expert to the media. He is also a published author, with high profile titles ranging from enterprise risk governance to small business security and privacy. His work is a continuous process of helping to safeguard the world’s most important currency: information. A rich personal and professional background empowers him to advise at the highest levels, on matters of technology security and physical protection, privacy rights and risk governance, accountability and reputational impact. Throughout the process, he builds strong relationships, helps solve real-world problems and earns the respect of his audience. The sensitivity of the work offers invaluable insight into how risk-based decisions are made, how governance impacts accountability, reputation, culture, and how that culture impacts the performance of each and every enterprise. That readily applicable trove of relevant knowledge is now available to discerning audiences. As part of his lectures, Claudiu Popa brings a rich repertoire of relevant situations – along with his passion for knowledge – to discerning groups, having consulted for global corporations, all levels of government and spoken at major industry events. He is the author of two keystone books on data protection, providing thought leadership through standards-based frameworks and offering engaging examples of proper risk governance: The Canadian Privacy and Data Security Toolkit for Small and Mid-Size Enterprises (CICA, 2009) and Managing Personal Information: Insights on Corporate Risk and Opportunity for Privacy-Savvy Leaders (Reuters, 2012). Claudiu Popa is a respected voice in the security and privacy industry having co-authored research publications with the Information and Privacy Commissioner of Ontario, collaborated with the Canadian Standards Association on global standards, and continuing to work with progressive academic bodies to study the value and effects of information. He is the founder of Informatica Research, a non-profit practice area that contributes to the industry by publishing materials of importance across interdisciplinary boundaries. He is also the founder of KnowledgeFlow, a non-profit initiative dedicated to providing Canadian non-profits access high quality educational content to protect children and youth against cyberbullying, privacy breaches and online scams. Claudiu is a respected media contributor with regular appearances on notable television and radio programs, print publications and across a broad spectrum of social media properties. His current professional credentials are the top certifications from some of the industry’s most important organizations: ISC2, ISACA, IAPP and PMI. Consistently approachable, Claudiu welcomes audience participation and comments at every venue. His broad social media profile is matched by an openness that affords him close contact with readers, listeners and viewers alike. All are testaments to his dedication to a personal and professional passion for sharing knowledge and offering lessons learned from helping leaders to protect the most valuable intangible asset in the global economy. John Proctor, VP, Global Cyber Security, leads the Canadian Security Centre of Excellence (CoE) in Ottawa, which comprises over 200 security and privacy professionals, a 24/7/365 Security Operations Centre and one of three accredited security evaluation test centres in Canada. The CoE delivers security and privacy services to Canadian and global organizations, including a large number of Canada’s major corporations, financial institutions, Federal, Provincial and Municipal governments. John is accountable globally for Commercial Managed Security Services for CGI and is also responsible for CGI’s global security portfolio and overall cyber strategy, which involves CGI’s 1200+ security professionals around the world. With over 22 years of experience in the British and Canadian forces prior to joining the private sector, John is a qualified Intelligence Officer, HUMINT operator, Hostage/Crisis Negotiator, has served as aircrew flying helicopters in the Royal Navy, and spent six years working with Canadian Special Forces. John draws upon his unique technical background mixed with his individual and organizational behaviour expertise to support the people and organizational pillars in cyber security and privacy. Known for his ability to communicate effectively with both a technical and a business audience, John has quickly become one of CGI’s global cyber security subject matter experts and is a sought after speaker at numerous industry conferences and CGI client events. John is a member of the Department of Foreign Affairs ICT Advisory Board and is CGI’s advisor to the Canadian Council for Chief Executives Cyber Security Advisory Council. JR Reagan is Global Public Sector Cybersecurity Leader and leads Deloitte’s Center for Cyber Innovation. He has over 25 years of Financial, Commercial and Public Services sector experience managing Cybersecurity, Technology and Innovation initiatives in more than 20+ countries worldwide, with clients such as DHS, NSA, DIA, FBI, NASA,, DARPA, Citibank, Bank of America,, eBay, Microsoft, and the Governments of Saudi Arabia, Ireland, Canada, United Kingdom and France. Mr. Reagan is Senior Professional Faculty at Johns Hopkins University and was a 2011 ISC2 Americas Information Security Leadership Award recipient. Mr. Reagan serves as Senior Professional Faculty teaching Innovation & Creativity at Johns Hopkins University (Carey Business School), Graduate Studies Mentor at Columbia University and is a Doctoral candidate in Organizational Leadership at Shenandoah University. He has also been a guest lecturer on Innovation and Analytics at Harvard, Wharton, Northwestern, Notre Dame and American Universities. Mr. Reagan serves on the Board of Directors for WashintonEXEC STEM Council and Johns Hopkins Innovation Factory. Jennifer Rees-Jones is a Senior Privacy Investigator for the Office of the Privacy Commissioner of Canada. In this role, she investigates complaints made pursuant to the Personal Information Protection and Electronic Documents Act, Canada’s federal privacy statue that applies to private sector organizations. Jennifer previously worked at the Competition Bureau where, as a Competition Law Officer, she conducted investigations for the Fair Business Practices Branch, which administers and enforces the provisions of the Competition Act that deal with false or misleading representations and deceptive marketing practices. During her time at the Competition Bureau, Jennifer was also appointed as Special Advisor to the Deputy Commissioner of Competition. She holds an Honours Bachelor of Commerce from the University of Ottawa. Courtney has over 10 years’ experience designing and developing enterprise solutions to both private and public sector organizations, specializing in content management solutions and web application development. As a senior technical lead and architect, he is able to use that knowledge to work effectively with IT directors, marketers and business stakeholders to help map their digital strategy and IT road-map into the right technical solution for their business. Rick is a Senior Management Consultant who has been in the energy sector for over 30 years. His broad base of experience includes the management, architecture and implementation of business solutions as part of both business and information technology organizations. He has delivered end-to-end Business Continuity Management Programs for over 10 years for numerous clients with a focus on achieving resilience through risk assessments, identifying risks as well as developing and implementing appropriate risk mitigation strategies. He currently leads CGI’s Business Continuity Solutions practice for Western Canada. Michael Roncon is the Director of Security Services for CGI in Western Canada. As a senior IT services and security professional with over 25 years’ experience in the private sector, Michael is a consummate technology services and management consultant with broad-based business experience in information technology service environments. Michael has developed strategies and the execution of collaborative secure solutions, including MSS, SECaaS, Identity Management, Mobile Security, Information Assurance, Cryptography, End Point Encryption, FIPS 140-Level1,2,3 and Biometric business security solutions. Michael has with a sound understanding of interacting with Government, and multi-national corporations across a variety of cultures, as well as demonstrated familiarity working at a senior level within large, complex organizations, focused on providing clients with solutions based on a trusted advisor role. Jamie is a Senior Manager in Deloitte’s Enterprise Risk Services (ERS) practice in Vancouver, BC. He leads ERS’ work with the BC public sector through a team that brings tools, methodologies and expertise to support operational, technical and financial risk management for public sector clients. His work is primarily focused on the topics of information management, information governance, security and privacy as they relate to public sector organizations. His work within the public sector has also included financial risk and control reviews, large-scale IT program evaluations and system development and implementation projects. In addition to his advisory experience, Jamie also leads review, assessment and assurance engagements across a range of subject matter areas, including security and privacy, risk and non-financial reporting. Jamie has also led numerous control transformation initiatives with clients seeking to enhance technical and business process controls related to sensitive information. Jamie holds a Ph.D. in environmental health and was an inaugural fellow of Action Canada, a national public policy leadership development initiative. Jennifer Seligy has been working as legal counsel for the Office of the Privacy Commissioner of Canada (OPC) since 2008. In this capacity, Jennifer advises on legal issues relevant to the OPC’s role and mandate, including with respect to the interpretation and application of Canada’s two federal privacy statutes, the Personal Information Protection and Electronic Documents Act and the Privacy Act. Jennifer also represents the OPC in various legal proceedings before the Federal Court of Canada and other courts. She is a graduate of the University of Ottawa’s National Program, where she completed degrees in common law and civil law. She has been a member of the Law Society of Upper Canada since 2006. For the past three years, Bill Shihara has been the Manager of Security Threat Analysis and Security Engineering for BlackBerry. He drives the anti-malware and security automation strategy for the BlackBerry ecosystem to help protect customers from threats before they happen. Prior to joining BlackBerry, Bill spent 11 years at Microsoft. He worked on both the Windows operating system and the Trustworthy Computing teams. Cheryl Soderstrom is the Americas Cybersecurity Chief Technologist for HP Enterprise Services. In this capacity she is focused on bringing the larger HP cybersecurity value proposition to industry leaders and key clients, leveraging HP’s deep insights gained from securing global operations in 170 countries, our Managed Security Services leadership, and our market-best security research teams studying and correlating threat landscape and vulnerabilities in cyberspace. Recently, Cheryl Soderstrom was the director of cybersecurity practice operations for HPES US Public Sector (USPS). Soderstrom created the practice development approach and led the establishment of the USPS cybersecurity practice—unifying strategy, capabilities, growth plans, workforce management and investments across five market segments within the public sector. To provide a common understanding of cybersecurity that incorporates both business and technical views, Soderstrom championed the development of HP’s cybersecurity taxonomy. Providing a comprehensive understanding of the cybersecurity challenge in common language, Soderstrom used this taxonomy to baseline the company’s portfolio, public sector book of business and go-forward strategy, and has shared it with international colleagues and key public sector clients. She represents public sector cybersecurity in ongoing pan-HP corporate initiatives, portfolio development, investment planning and market messaging. During her eclectic career, Soderstrom has worked in multiple capacities across the business, including software development, account management, regional staff leadership, alliances, and industry consulting. She brings over twenty-five years of experience in applying business strategy and consulting services to industry and government clients with expertise in strategy and business model development, enterprise performance management, digital government, business webs, and organizational development consulting. Soderstrom has worked with numerous government, commercial and international clients, with a special focus on the public sector and financial services industries. Previously, Soderstrom led large information technology planning and development programs, enterprise business operations, and global implementations. Soderstrom earned a B.A. from the prestigious Davidson College, and has completed numerous professional and leadership development programs, including at the Darden School of Business. She has represented the firm in primary think tank research programs related to strategy and governance in the digital economy, customer fulfillment networks and the Hypernet revolution. Ms. Soderstrom has received five letters of commendation from the United States government. Jay Stanley is Senior Policy Analyst with the American Civil Liberties Union’s Speech, Privacy and Technology Project, where he researches, writes and speaks about technology-related privacy and civil liberties issues and their future. Stanley writes for and is editor of the ACLU’s Free Future blog. He has authored and co-authored numerous influential ACLU reports, white papers and blog posts. Recent policy pieces have covered surveillance drones, police body cameras, and the rights of photographers. Other major reports include “The Surveillance Industrial Complex” (2004), which traced the growing intersection between government surveillance and the private sector (called “incredibly prescient” by Salon’s Glenn Greenwald); Science Under Siege (2005), and “What’s Wrong With Fusion Centers” (2007). He also wrote “The Crisis in Fourth Amendment Jurisprudence” (2010), an Issue Brief published by the American Constitution Society. Stanley has also served as communications strategist and media spokesperson for the ACLU on technology issues. He was co-chair of the 2009 Computers, Freedom and Privacy (CFP) conference in Washington DC, and serves on the CFP steering committee. He is a member of the International Advisory Board of London-based Privacy International. Before joining the ACLU in 2001, Stanley was an analyst at the technology research firm Forrester, where he focused on Internet related policies, including online privacy, taxation, and antitrust issues, as well as researching political communication via the web. Stanley also served as the American politics editor of Facts on File’s World News Digest, where he covered Congress and presidential politics. Stanley is a graduate of Williams College and holds an M.A. (ABD) in American History from the University of Virginia. Rick is currently the Strategic Advisor to BI2PI.com and is also working with a number of start-up companies in the cloud computing industry. Rick has over 35 years experience as a senior leader in the ICT sector with a focus on change management, and development of secure, scalable solutions. Prior to joining BI2PI.com, he worked with Bell for 14 years where he was the strategic advisor to public sector clients and a data centre and security practice leader. While with Bell, Rick was seconded to the Vancouver Olympic Organizing Committee as a senior implementation manager, where he was responsible for the design and execution of a rapid, scalable IT deployment methodology for the 2010 Winter Olympics. Prior to joining Bell, Rick spent 25 years in the Canadian Forces, where he served as a Communications Electronics Engineering Officer, responsible for the design and operations of a number of National Defence’s global infrastructure services. Rick received his education at the Military College in Kingston Ontario and also served as an instructor for 6 Years. Rick is an active member of NIST’s working groups for standards development on cloud and cloud carrier services. John Waddell is a partner with the Victoria law firm of Waddell Raponi and practices in the area of civil litigation. He is an experienced arbitrator and mediator of all manner of civil disputes and a Member of the Civil Roster of Mediate BC. In 1995/96 he was President of the B.C. Branch of the Canadian Bar Association. From 1990 through 1995 and from 2003 to the present, he has served as a director of the Canadian Bar Insurance Association and is currently Past President of that organization. He is a member of the Board of the CBA (B.C.) Benevolent Society. In 2001, he served on the Judicial Council of British Columbia and in 2002 and 2004 was a member of the Judicial Justice of the Peace Compensation Committees. He is a Past President of both the Greater Victoria YM/YWCA and the Government House Foundation of B.C., and a former Governor of the Law Foundation of BC .John has received both the Queens Golden Jubilee Medal in recognition of his service to his community and the legal profession in Canada, and the Queens Diamond Jubilee Medal for his contributions to the Government House Foundation of B.C. Presently, he is on the list of Special Prosecutors retained from time to time by the Minister of Justice of B.C. and sits as a member of the Law Society of B.C. Disciplinary Hearing and Credentials Panels. Derrick Webber is an information security specialist with over 15 years of experience serving clients in business, government and defence. He has extensive hands-on experience in building and assessing information systems large and small. In his current role as penetration tester and forensic analyst, Mr. Webber assesses systems for vulnerabiltities using the same tools and techniques as the attackers, and conducts forensic investigations for clients when breaches do occur. In his spare time, Mr. Webber is also an instructor in penetration testing at Algonguin College in Ottawa Ontario. Mr. Webber is a Certified Information Systems Security Professional (CISSP), Certified Forensic Examiner and licensed Private Investigator. Holly Whalen is the Global Vice President of GTM (Go-to-Market) at Cylance, Inc. Holly is responsible for defining worldwide selling strategies, operations and customer relationships. Her security leadership keeps organizations abreast of the most secure and resilient products and services to thwart advanced cyber attackers. Holly is a Certified Management Accountant, who transitioned her experience as an audit & compliance consultant to deploying enterprise software solutions. Over the past eighteen years, Holly has held leadership roles within the vendor community with ERP, CRM and Security. Holly’s operationally focused education and audit experience provides a concrete understanding of the importance in applying automation to critical and yet challenging manual processes and controls. Her experience indicates that only when solutions are able to automate, is one able to derive a quantifiable Return-on-Investment and a lower Total Cost of Ownership. This has become a challenging area for security leaders, deriving and delivering on quantifiable and measurable value. This challenge became one of the major reasons behind her decision to join the Cylance executive team, the ability to detect (make visible) and mitigate the execution of unknown malware across the infrastructure without relying on traditional methods (Signatures, Heuristics, Reputation) in getting there, providing the opportunity to displace traditional solutions while mitigating operational overhead. Holly has become a trusted advisor to the C-level due to her deep operational understanding and the value that she places in recognizing that acquiring technology is 10% of the process, companies require the value derived from the opportunity to mitigate legacy solutions while automating processes and controls is where the other 90% of the equation lies. Naeem is Vice President at the Oracle Identity Management business. He is also a serial entrepreneur and he co-founded and served as the CEO of Bitzer Mobile, an enterprise security and mobility company that was acquired by Oracle in November 2013. Naeem started his own business at the age of 26 and subsequently went on to start, or work at, six startups. His first job out of Brown University with a degree in electrical engineering was to design chips and electronic systems. Twenty years, two kids, one IPO and three CEO stints later, he founded Bitzer Mobile. Naeem has authored five books on entrepreneurship on topics ranging from conducting market research to seeking the right funding to successful ways to start a business. Information can be found on www.NaeemZafar.com. His books including “7-Steps to a Successful Startup” are also available on Amazon.com, Kindle and on the iTunes App store. This workshop will provide a high level overview of BC’s Freedom of Information and Protection of Privacy Act (FOIPPA). Presenters will discuss privacy which will include the authorities for public bodies to collect, use and disclose personal information and retention and security requirements. Participants will also hear about access to information, specifically, Open Information, DataBC and freedom of information rights, processes and exemptions. This session, taken in conjunction with the afternoon privacy breach session will provide public body employees with a strong toolset to approach privacy within their respective areas. If you are interested in learning more about BC’s FOIPPA, how it impacts the work you do, and the tools available to help you, this session is for you. Security incidents of recent months remind us that in the cyber world no one is immune. With adversaries ranging from nation-states to hacktivists, hanging onto a legacy security strategy will make you a sitting duck. Winn will examine critical trends in cyber security, future attack vectors, and challenge the audience with candid realities. Faced with an exponentially increasing attack surface, what strategy will you employ to mitigate future risk? Come prepared to contribute in this townhall style format where everyone has a voice. Participants will have an opportunity to share their insights and experience with fellow industry professionals. If you want to play a role in shaping security strategy for the BC Public Service then attend this session. Gary Perkins is the Chief Information Security Officer (CISO) for the Government of British Columbia. As the Executive Director of the Information Security Branch, Perkins is responsible for providing cybersecurity services in support of the province. He has more than 18 years of experience in information technology, risk management and cybersecurity. Prior to joining the BC Government, Perkins worked in the private sector as chief of staff for security at TELUS and, earlier in his career, led teams responsible for incident response, operations, delivery and architecture for both corporate and managed security services customers. A CISSP since 2004, Perkins also holds an MBA from Simon Fraser University’s Management of Technology program. 3 - continuous monitoring of all authorized and unauthorized access inside and outside the repository. Attend this session to understand how through using rights management and analytics technologies combined, all three interconnected dimensions can provide complete protection and monitoring of the information lifecycle as content is authored, stored, and distributed. Gone in 60 Milliseconds: Mobile devices, free WiFi and your data. Smart phones and tablets broadcast information that anyone can use to discover where you live, where you work and the places you go. Free WiFi networks allow attackers to take control of your mobile device and laptop to access your private data and infiltrate your organization.This workshop presents a series of live demonstrations showing exactly how this is done and how easy it is. We show in real time what information the broadcasts your mobile devices send 24/7 reveal about you, and how attackers use fake WiFi access points and man-in-the-middle attacks to capture passwords, subvert VPNs, and install malicious software.The root causes of these dangers are explored, and we present solutions, both simple and complex, to safeguard your data, your privacy and your identity. This workshop will provide an overview of best practices and the steps to take in response to an actual or suspected privacy breach. The session will focus on incident coordination, investigation, containment, evaluation of harm and prevention and will highlight the Government of British Columbia’s process for responding to privacy breaches. Public and private sector organizations collect vast amounts of personal information. Innovative policy, services and products can be based on the analysis of this data. However, privacy and confidentiality concerns have made some organizations reluctant to take advantage of such large scale analytics, and of linking data sets to create a more detailed longitudinal view of their customers or patients. In addition to regulations that limit the use and disclosure of personal information, there are legitimate concerns about potential data leaks, compelled disclosures, and litigation from breaches or “surprising” uses. To safely realize the benefits of data, a proactive approach is required to assess and manage risk. In this workshop we will describe a complete framework for assessing and managing the privacy risks of using and sharing personal information for secondary purposes. This includes how data should be anonymized and dealing with the risks from stigmatizing analytics. We will also describe how to incorporate this approach into your organization’s existing information governance, security, privacy and risk management frameworks. The Freedom of Information and Protection of Privacy Act (FOIPPA) just celebrated its 20th year!! A lot has changed since 1993 and within the last 5 years the provincial government has seen an unprecedented rise in volume and complexity of FOI requests received. This workshop will provide an overview of the various initiatives and work completed by the Information Access Operations Office (IAO) in responding to FOI requests. The workshop is being presented by IAO, as leaders of FOI Access to Information services on behalf of the ministries. In today's data rich, hyper-networked society the sheer diversity and volume of data sharing not only poses real-world risks in terms of privacy and security, but it also raises significant ethical and legal challenges that need to be addressed if our apparent race to “connect” is to prove both sustainable and beneficial in the long-term. This workshop embraces fundamental principles of ethics and applies them to a world of information uncertainty and in-security in order to set a solid foundation to guide professionals as they navigate the digital storm. Phishing is a scam designed to trick people into disclosing their personal or financial information for the purpose of financial fraud or identity theft. Identity Theft occurs when someone uses someone else’s personal information, without their knowledge or consent, to commit a crime such as fraud, theft or forgery. The Canadian Anti-Fraud Centre reported Fraud and Identity Theft dollar losses for 2012 at just over 16 million dollars. Plan to participate in this workshop where the need for technical controls and user education in corporate environments will be discussed. Today’s data driven, mobility focused environment is driving dramatic change in the user experience. Unfortunately, with these new capabilities come new security challenges, the response to which creates a careful balancing act between security and privacy. The discussion will focus on how the security landscape has changed and how security professionals are trying to both protect their enterprises as well as the privacy rights of its employees and customers. We also have the massive growth of Big Data to contend with – how will this impact our privacy? The positive-sum framework of Privacy by Design is ideally suited to address this issue since it enables the operation of multiple functionalities. But the response to Big Data will need to be equally “Big” in scope – so enter Big Privacy! Come hear Commissioner Cavoukian explain how Big Privacy could lead to a doubly-enabling, win-win proposition. Broken Trust: (How Quickly) Can The Damage to Our Internet Be Repaired?Broken Trust: (How Quickly) Can The Damage to Our Internet Be Repaired? Companies of all sizes are losing billions in revenues; growth rates for sectors like cloud-based SaaS solutions and network devices have been stunted; encryption standards are difficult to trust. The altruism of every innovative organization is now regarded with suspicion. The online activities of governments are assumed to be evil. The Internet has lost its lustre. Our relationship with the medium is no longer filled with wonder and anticipation. The Internet itself will survive, but what will it take - and how long will it take? In this presentation security author and consultant Claudiu Popa will outline the steps necessary to rebuild the trust, the effort required and estimated duration for 'remediation'. A discussion of the positive and negative aspects will identify the numerous reasons for businesses and government agencies to get in on the opportunities as early as possible and realize not only financial gains but significant competitive differentiators and build a loyal following. Trust - not cryptocurrencies - is the real gold of the digital economy, and there's about to be a mad rush for this scarce, raw material. The evolving IT landscape introduces many new risks into our corporate environment. Carlos will review the top issues and risks that keep him up at night and present a number of methodologies and processes that have proven successful at managing the privacy and integrity of TELUS’ critical systems and data. • Presentation Files Big Data Needs Big Privacy! Harnessing the Power of Big Data and Predictive Analytics Can we have it all? The industrial world is undergoing a seismic shift in productivity and efficiency as machines become increasingly intelligent. The result will create an Industrial Internet that will have the same effects as the consumer internet. Predictive analysis gives insight in real time “software eating the world” requiring more companies and government to make strategic decisions on their willingness to invest in technology and take risks to capture the increasing value chain. A key element of success will be to strike a balance between security and liberty, enabling the digital information amassed to become liquid. A demand for law and policies to protect privacy and intellectual property while adopting standards for speeding the flow of big data across country borders. Presentation Files Big Data Needs Big Privacy! • Presentation Files Where is the true value in Security and how do you make it deliver Privacy? Where is the true value in Security and how do you make it deliver Privacy? More and more organizations are being asked to do more security for a small budget. At the same time the threats are becoming more complex and the cost of achieving due diligence continues to increase. This talk will discuss what you need to do to show value in security and how you use that security to deliver privacy requirements. Presentation Files Where is the true value in Security and how do you make it deliver Privacy? Most organizations have procedures in place to safeguard data in the event a mobile device is lost or stolen or if an employee is suspected of suspicious behaviour. However, these typical processes often fail to take advantage of the investigative data that may be available from an organization’s IT asset management tools. This presentation will share how organizations can access this data for more in-depth investigations into an event that may be suspicious and help determine whether or not a breach or threat truly exists. What is the ‘Internet of Things’ and can we define it today? Internet of Things, Cyber-Physical Systems, Internet of Everything, Industrial Internet - whatever you call it, it’s the idea that physical devices are in some way connected to the internet and interact with one another with little to no human interaction. No longer science fiction, the number of physical devices connected to the internet is growing rapidly by the day and there are no signs of slowing down. However, with endless possibilities come great concerns. What are the privacy and security implications related to the data being shared? How will it affect individuals, businesses, or the government? And finally, what can we do today to prepare for something that we don’t truly understand? The Internet of Things – are we ready? • Presentation Files How Protected Is Your Enterprise? How Protected Is Your Enterprise? When it comes to your data centre assets, protection and compliance monitoring is simply a must have. In today’s world, your security efforts need to protect your physical, virtual and cloud environments. This session will provide insight into challenges and importance of protection while exploring why simply relying on antivirus alone just isn't enough. The next generation of threats is coming - do you have next generation protection? Presentation Files How Protected Is Your Enterprise? Accountability is the first principle underlying all privacy laws, and the Commissioners have said that in their investigations and audits, they will be looking at the whole organization – expecting to find evidence of a privacy management program that is implemented and operational. This session outlines the key concepts required to put the Accountability Framework into everyday practice. It will help delegates gain more insight so that they can begin to recognize the barriers to implementing an accountable privacy management program. A Case study of IAM at ICBC- The presentation will provide both a business view and a technical understanding of the challenges faced and the lessons learned during the last several years planning, designing and implementing an identity management platform. The case study will talk about ICBC's experience with Oracle Identity and Access Management 11g and their strategic consulting partner Simeio Solutions. Big Data. Privacy breaches. Surveillance. As a society, we cannot meaningfully engage on any of these topics without transparency. A transparency approach gives citizens and civil society groups the information they need to make informed decisions and contribute to the public policy debate. Transparency also has the added benefit of holding decision-makers to account for past and present choices. Transparency is particularly important as we explore the role of big data in the public sector, and the future of mass internet surveillance by national security agencies both inside and outside Canada. This presentation will describe how a transparency approach can address these and other issues in privacy and security. In the days of the mainframe we thought about the security of the system. As we moved to client server we thought about the security of the organization. Next we expanded our thinking to include partners and customers. This eventually culminated in our current need to consider the security of the overall ecosystem. How do you define, understand and evaluate the elements of that ecosystem? How do you blend tools, policies and strategies both alone and in combination with the other parties in your value chains? How you address risks across all of these systems will be a measure of your success in securing your enterprise. While you may not be able to completely address all risks, you have no chance of mitigating those you don't consider. The 2002 OECD Guidelines for the Security of Information Systems and Networks provide a set of high level principles for security in an open and interconnected environment. Currently under review to ensure their continued applicability to today's digital economy, this presentation will outline key themes and new concepts emerging from the review. The OECD has an important role to play in cybersecurity by contributing economic and social perspectives to the global dialogue. 15th Annual Privacy and Security Conference is proudly sponsored by the following companies.